of cases and more coming. Next pic is a barrel of cases..
last forever. We can load to any power level we need or want. 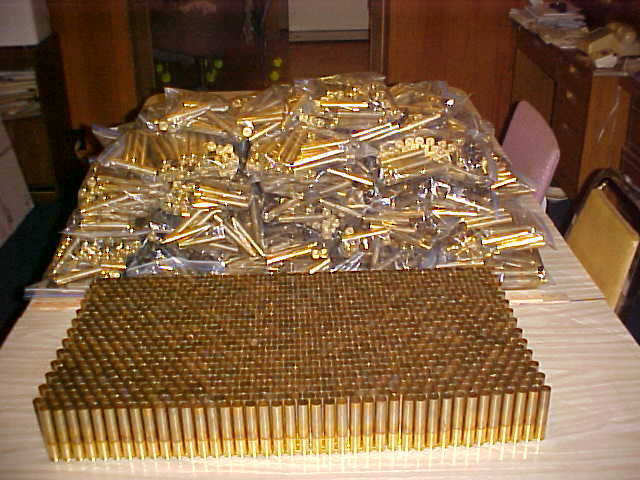 Folks can get 100 cases, dies, barrel to put in something, 750 bucks. 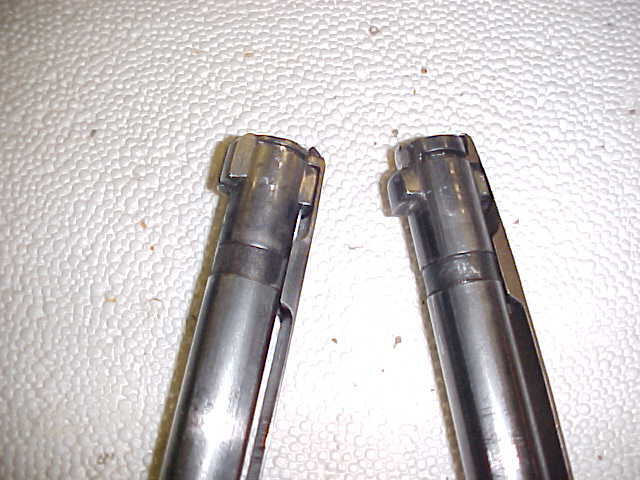 Asked about #1, And perfect case for the Ruger #1.
extractors I've seen work better with belted than big rimmed. 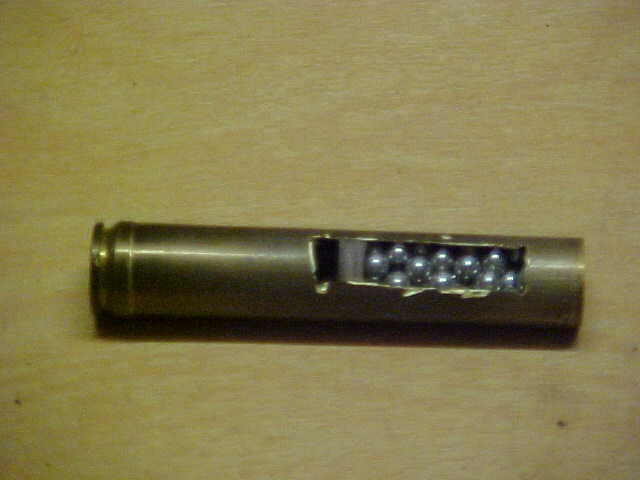 Case doesn't need special made shellholder, number 31 RCBS fits fine. It is a straight belted case that holds up to 190gr of doublebase powder. about 29%. 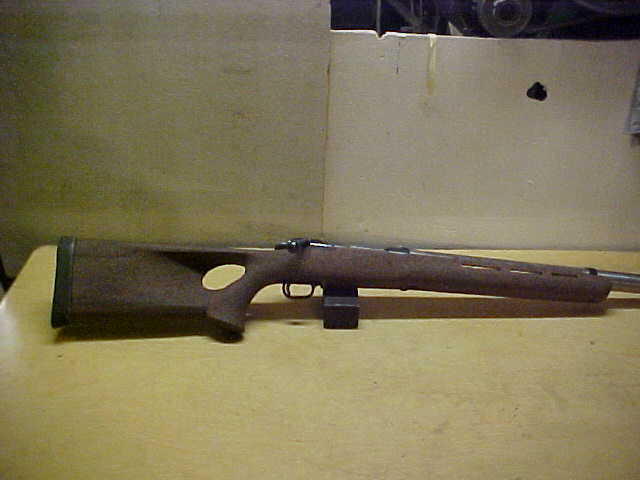 Here is one done in a Savage..
out after firing. 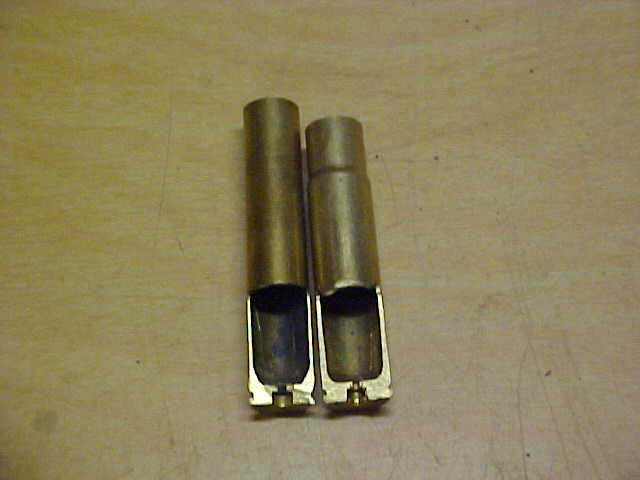 Here are couple a nice singles with 585HE in them. and the factory one sectioned showing the strong built inside corners. These are not balloon head junk cases. We and CH4D have die sets, Manson makes reamers, and we have some. 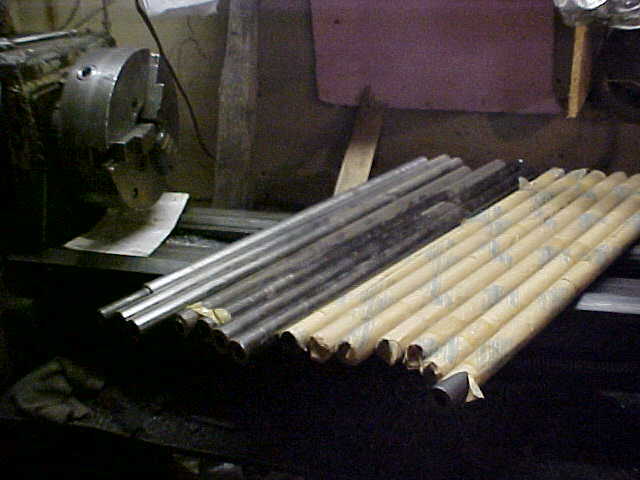 extract at the highest pressures. 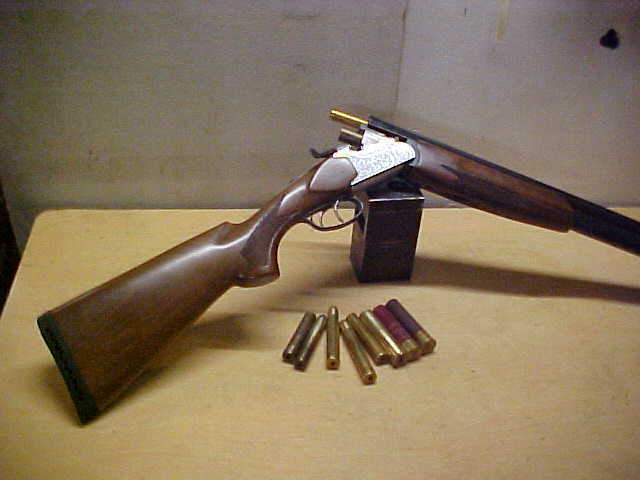 sporting cartridge exemption few years ago. 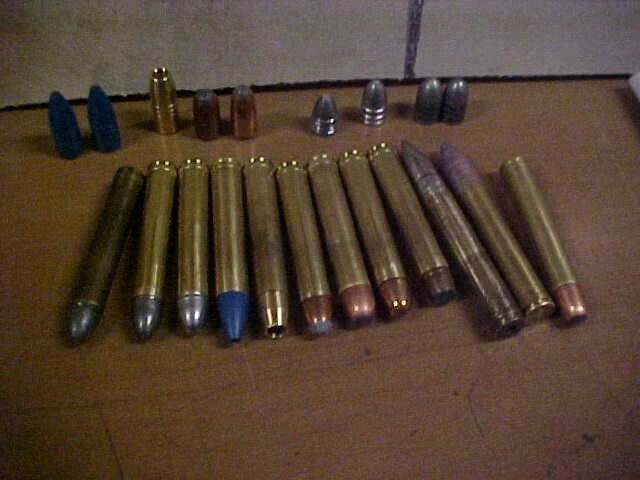 and the 6 new ones in the middle has a 585 stamp. them and put their own stamp on..
shiny ones. Dark ones are ones I made years ago. behind. Maybe make a great long range target cartridge. 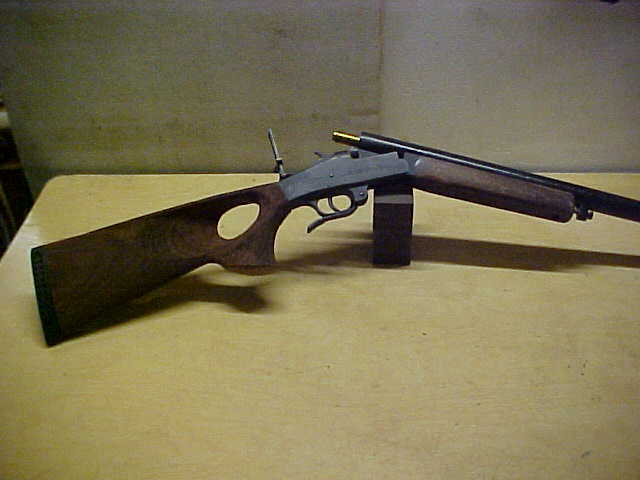 Got a guy setting up one with long heavy barrel for that. long, untrimed cases, so I could get the longer case we wanted. 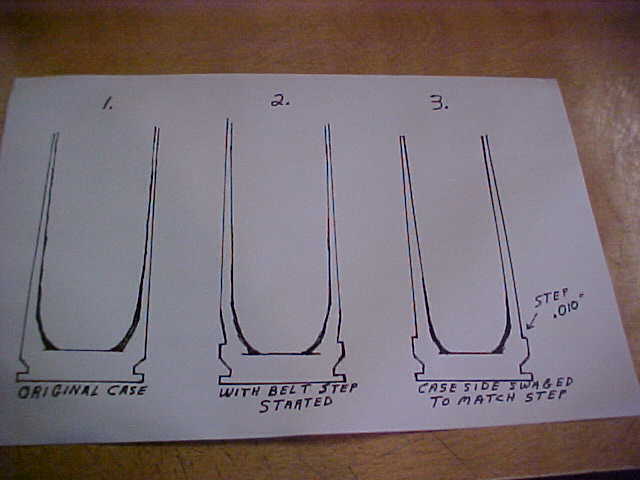 process with different wildcats we have found cases that wouldn't work. without extreme machining on the bolt, as opposed to 577NE and Trex. 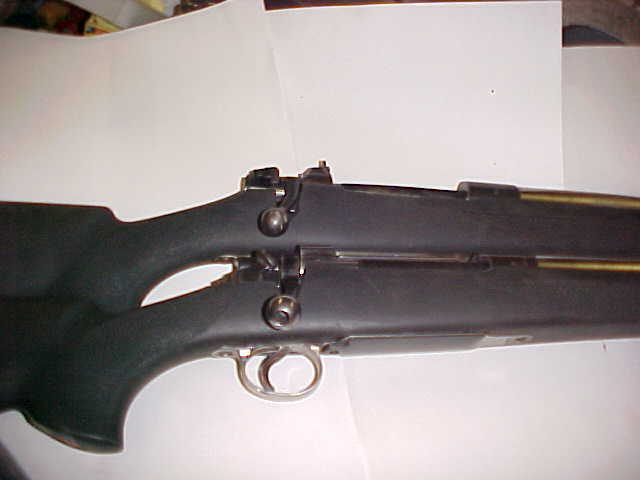 Here is picture of a case held in a Ruger bolt, for example..
harder to harden the heads and the lower body back up to proper strength. and heading operations in the manufacturing process. accurate as foster slugs in a 12ga. 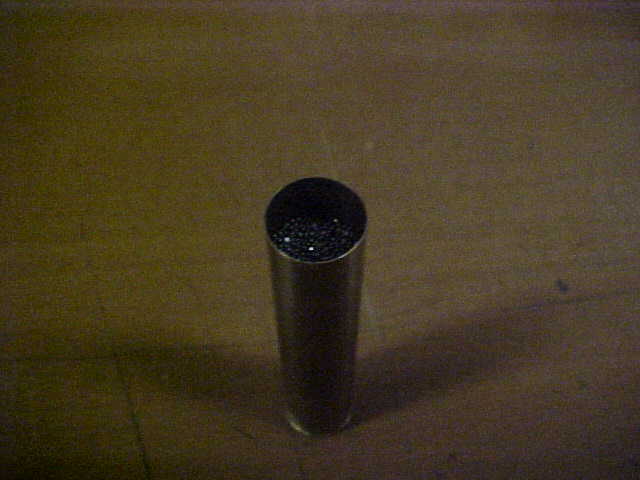 Bottom barrel is 3.5" 12ga smooth. in AUS that has a reamer I sent him. 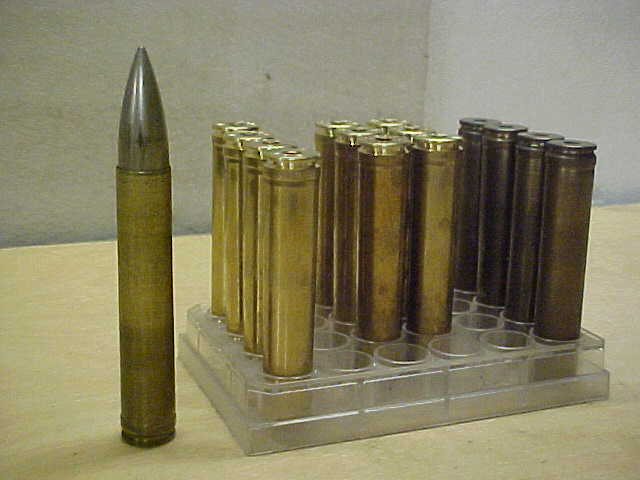 Minie bullets, The Minies we use are the ones measuring .585". 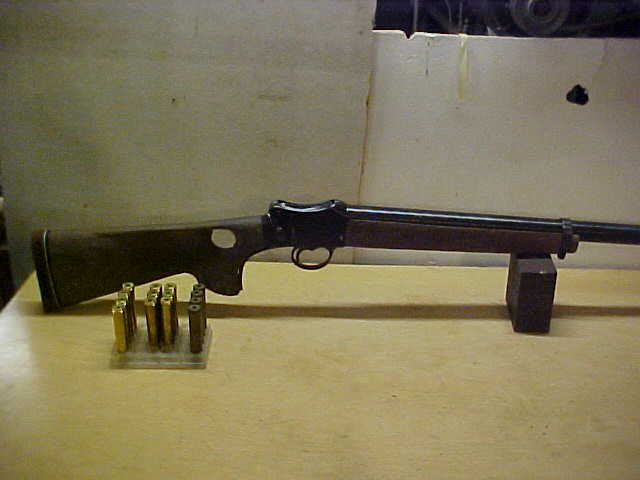 that 24ga wads work perfect in the case, like in this picture. 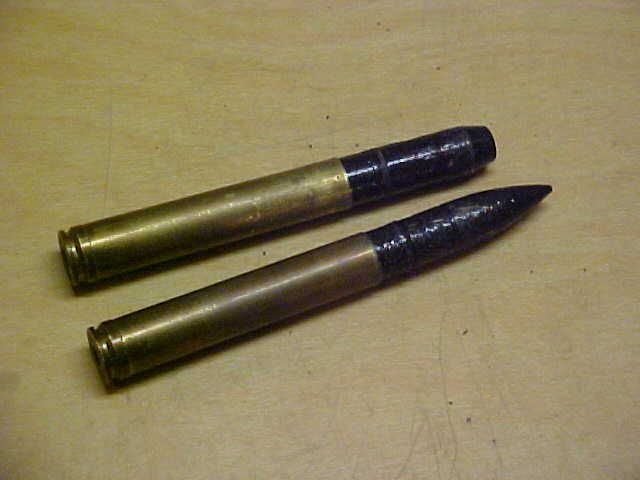 WE did couple guns in smooth barrel to test hollowbase Minies. Found that they work for shot in our case. Holds 3/4 oz of shot. 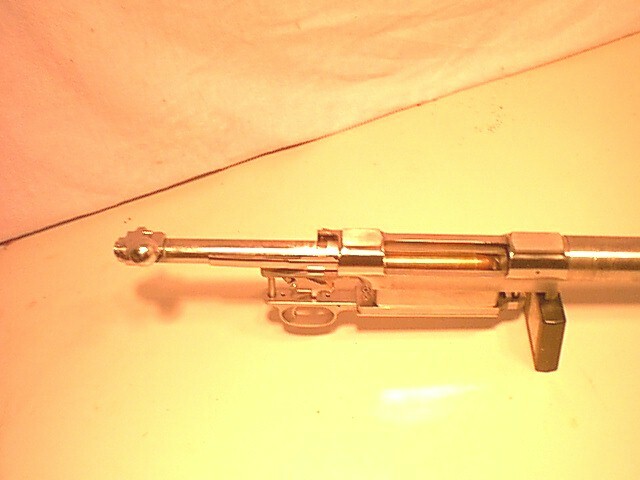 Put a 24ga card on top and glue it in. 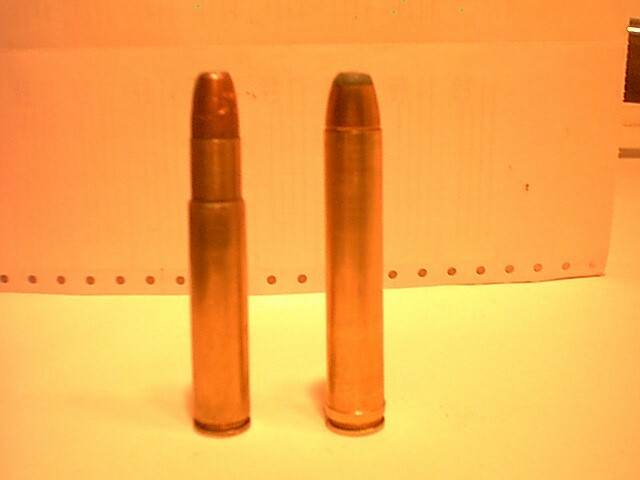 Canada, for guys there to be able to get them from him..
pellets stacked behind a 440 gr Minie Bullet.Goes over 2500. 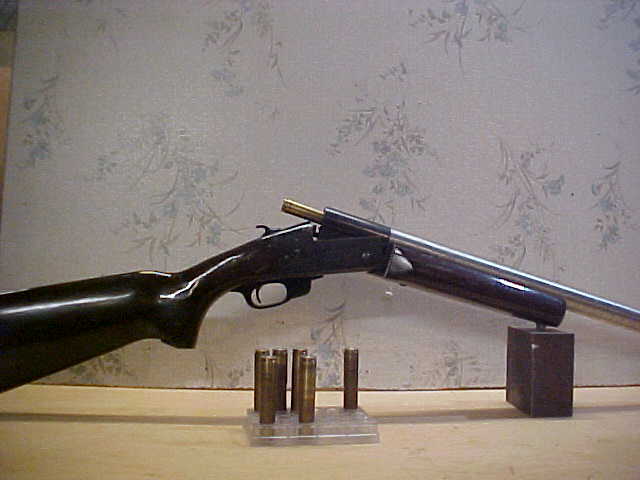 Can be loaded with 3 pellets and 24ga cushion wad. 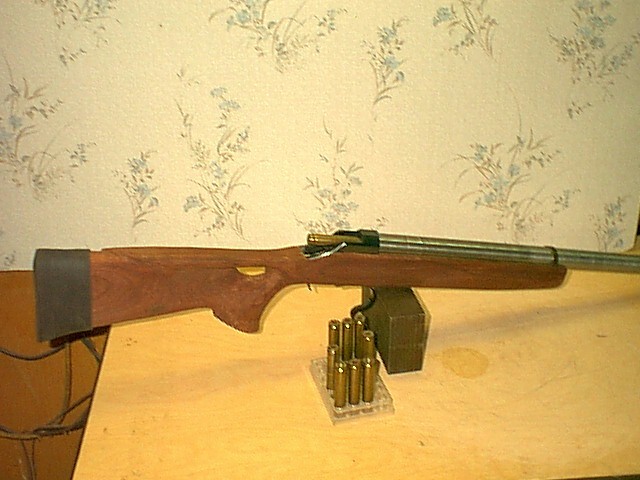 loads a comfortable as a weighted bolt action gun. FBW brand. deer, hogs, target, and plain ole fun Using black or smokeless. 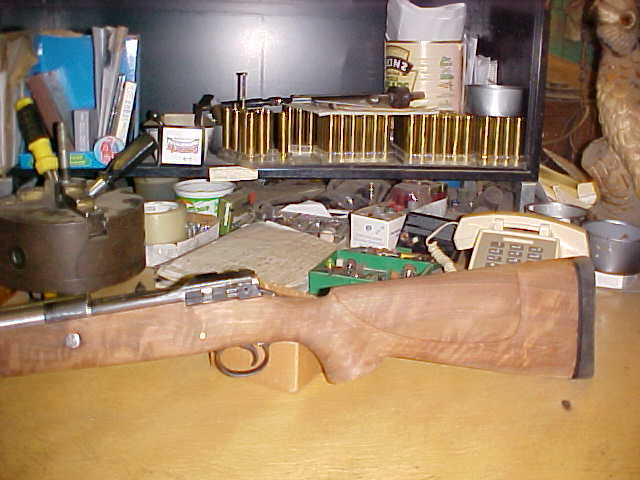 nice figured Walnut stock. It is weighted and has a thick pad. 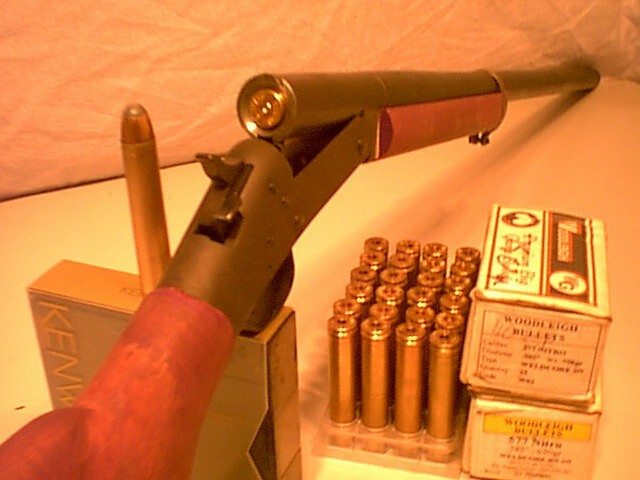 Being done African style with thick barrel and integral front sight. 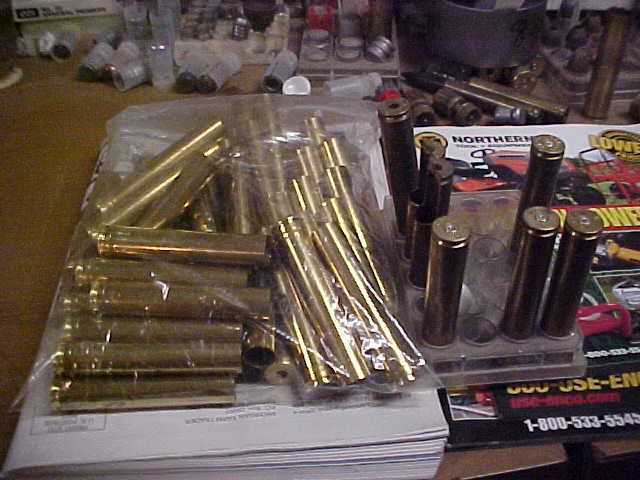 Minie bullet guns, and bunch smoothbore blanks...Pics soon. 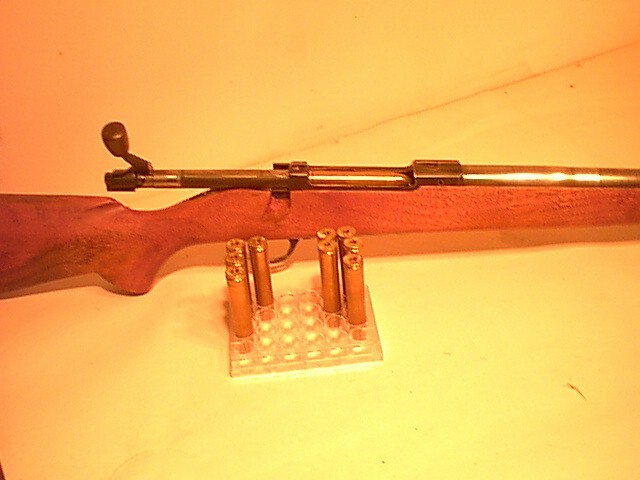 Here are couple more pictures of the gun guy is doing with nice stock. 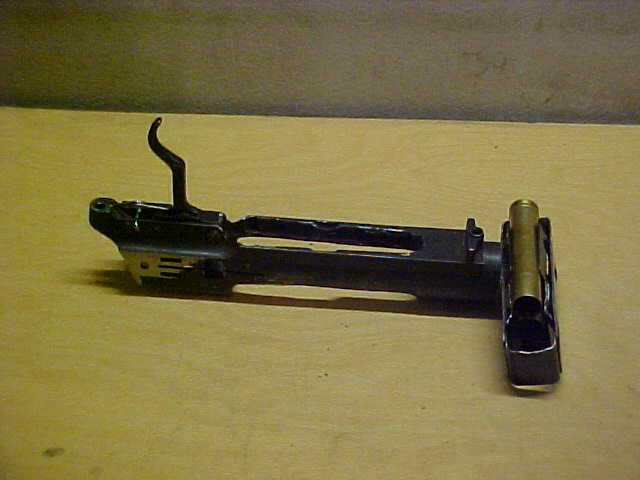 Here is picture, 585 FBW falling block with Hogue Knoxx Compstock. 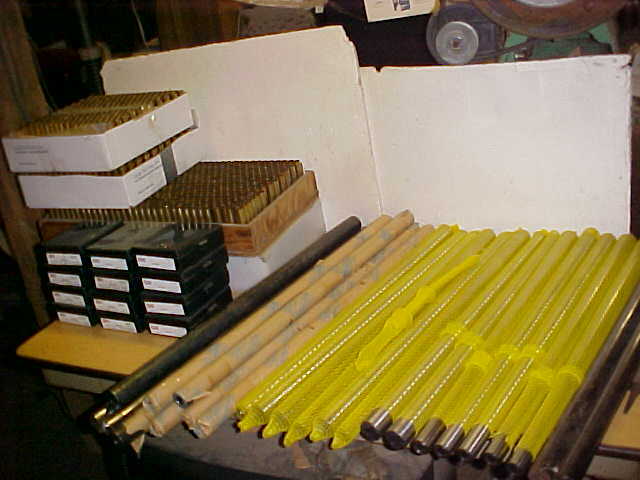 Here is picture of the barrels from McGowen, with other barrels. We got most of the McGowens profiled and some straight blanks. 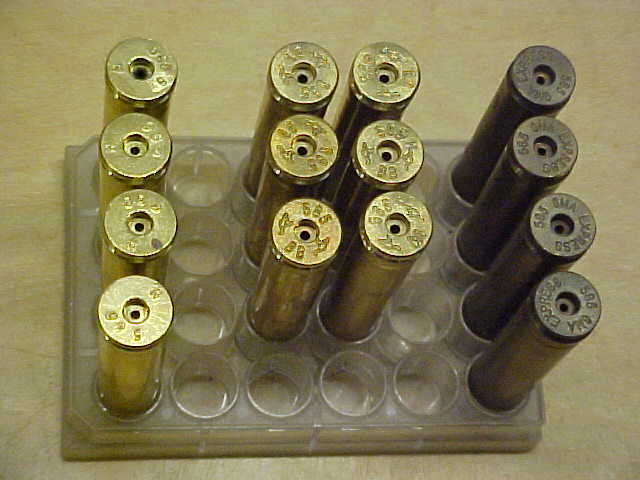 of the cases and die sets. 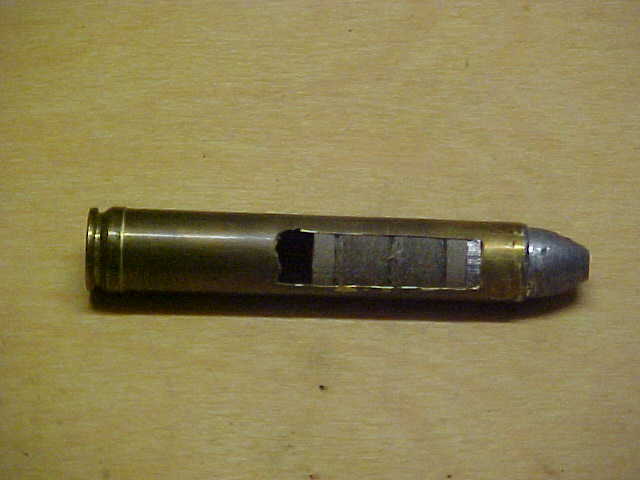 to .980 inch at the muzzle. to shape breaches to feed big cases, so they don't hang up. 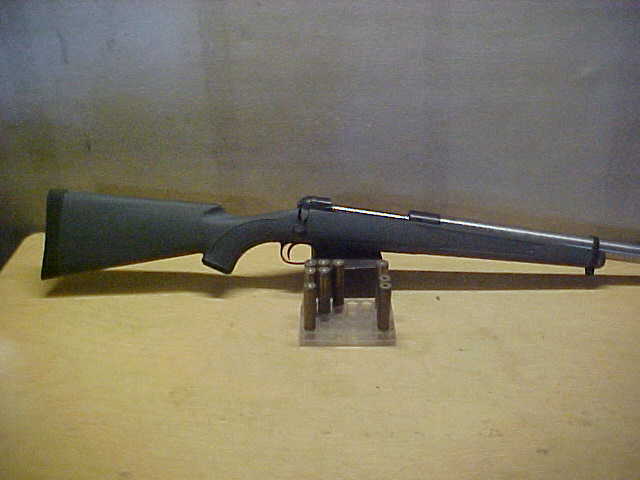 Here is picture of 585HE in a Montana Rifle Co. PH action. 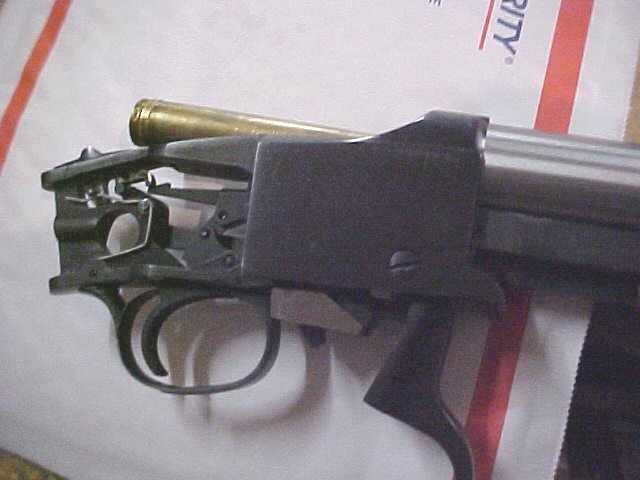 The double stack mag for the 505 Gibbs they make works ok. 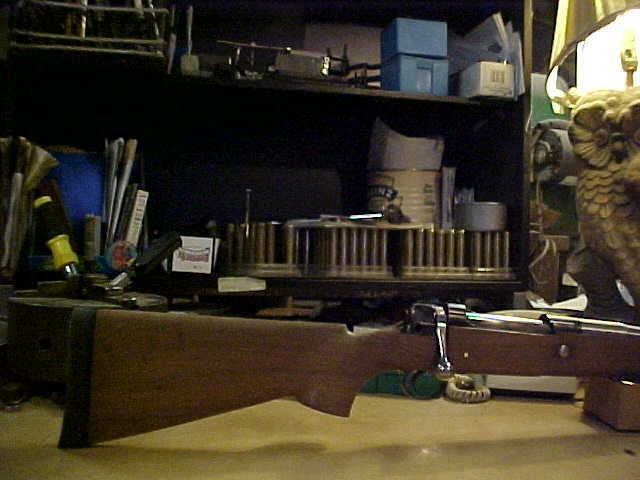 The Enfield in the Hogue stock above is done and gone. 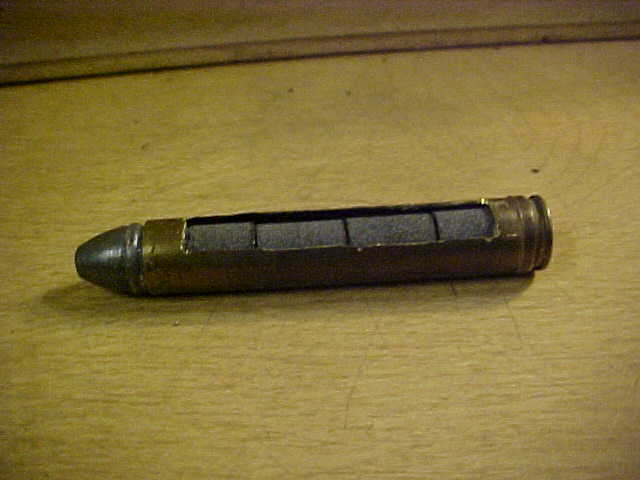 barrel, set up especially for Minie bullets of 440 to 540 gr. of how we set up action for long case and a singlestack magazine. 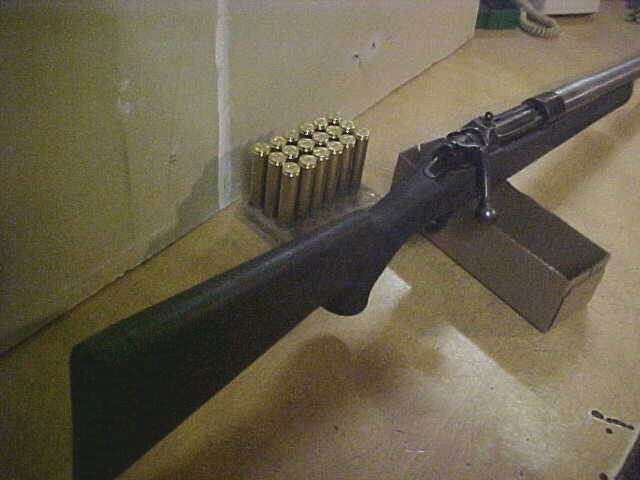 can load from the top. easy like the new ones from Bertram. Here is some math to show why I really like really big bores. called peak pressure. 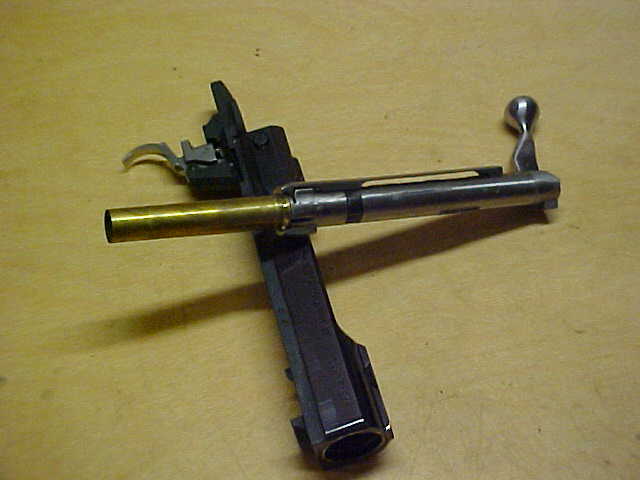 to the lowest at the muzzle when bullet exits. 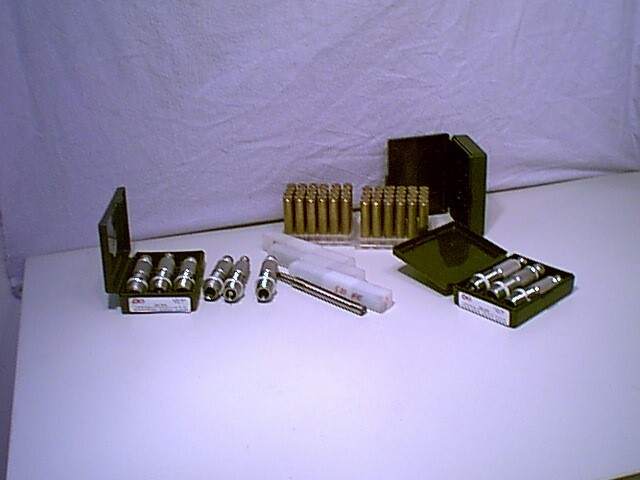 For high powered rifles average barrel pressure run 15-18000 psi. fairly close if you know the muzzle energy. We multiply ME times 12 and divide by barrel cross section x length. Example a 458Win usually loaded to 5000 ft lbs, say in a 24" bbl. 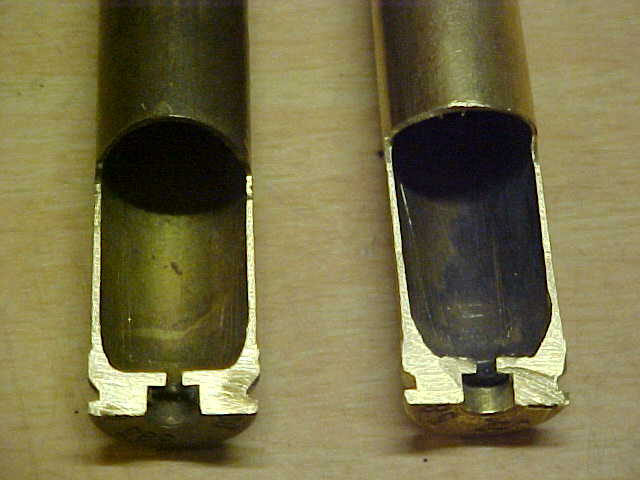 peak pressures damaging to brass and gun, to get say 50% increase. the powder settled, looks like. 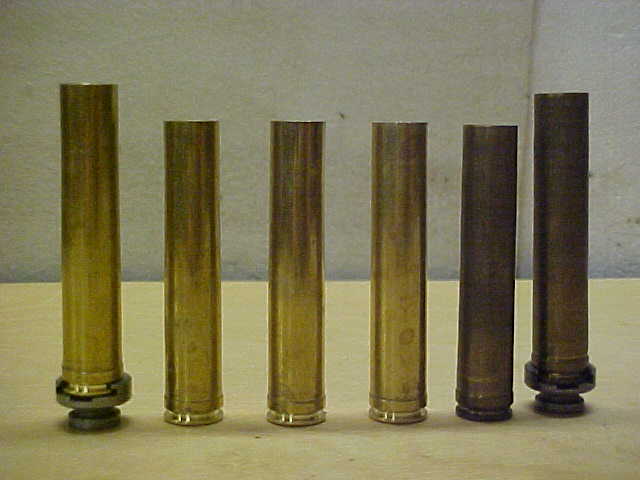 basic blanks, with long ones for guys setting up target guns. 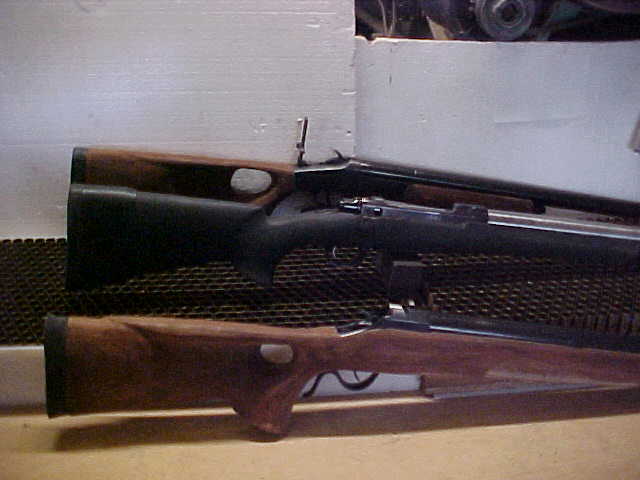 pictured, 3 on Enfields, one on FBW, one Ruger, 2 in PHs. There is a guy and his smith in AUS that has a reamer for the 585HE. hand lapped, and only half of what getting them in from other places cost. Here is part of stuff that the guys have to work with.. 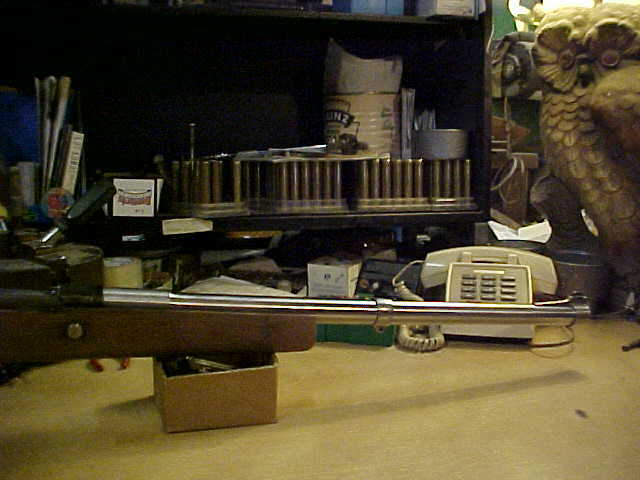 Here is picture of the Mossy 390 action, after I'd set up for the 585HE. 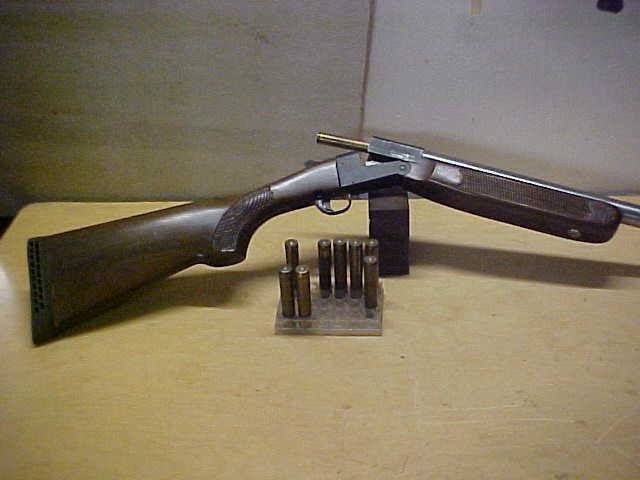 and made it into a 24ga FH. 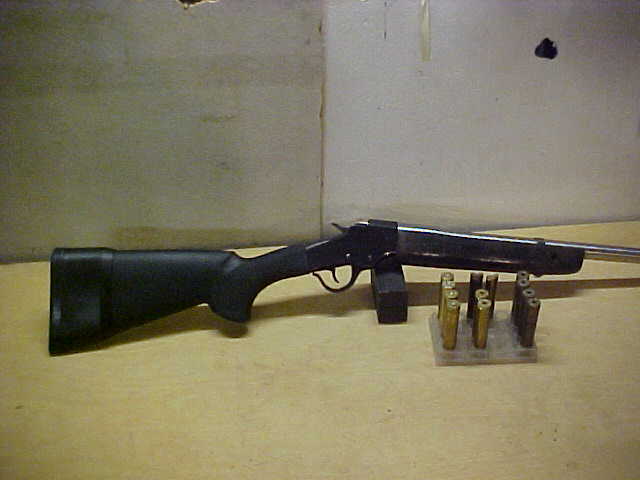 Just makes an easy to work with test gun. 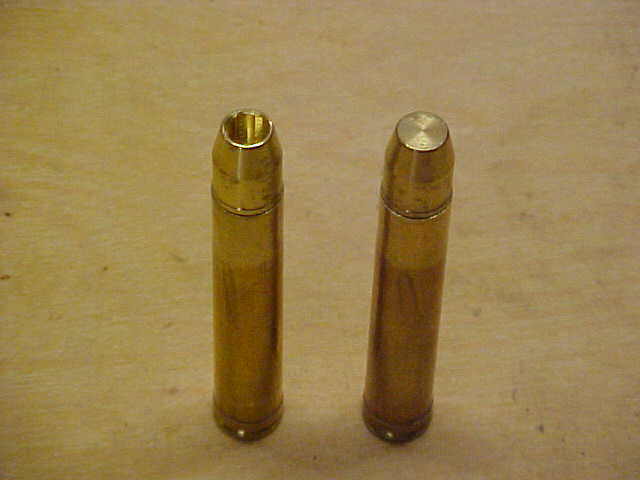 577 brass for 24ga cases, using same Minie and jacketed as 585HE. set up to use them in. .
in Australia, owned by the poster, tankhunter on AR forums. dies and reamers.And can get dies from CH4D. There soon will be 3 reamers there. And now a company starting to make 585 barrels there. I have about 17 here, so no waiting here.